As part of the Retro Futura Tour, Howard Jones performs Saturday, Aug. 12, along with Paul Young, the English Beat, Men Without Hats, Katrina and Modern English at the Borgata in Atlantic City. Howard Jones loved the '80s and he'll take on anyone who goes the other way. The British singer-songwriter will deliver the hits from a generation ago. Acid washed jeans, parachute pants and fanny packs are some of the more laughable fashion statements of the '80s. Some goof on how '80s music lacked soul (who came up with the drum machine concept?) 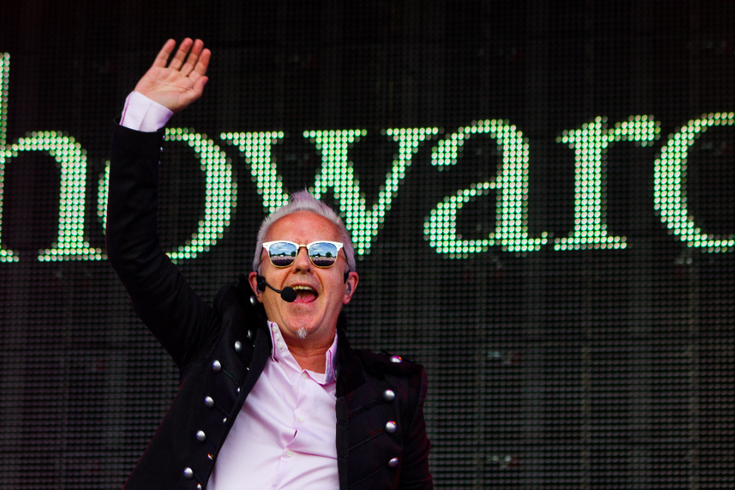 But don't joke about the '80s with Howard Jones. The vocalist-keyboardist, who had six top 10 hits in the UK from 1983 to 1986 and a few which crossed over to the States, gets defensive when '80s music is discussed. The sounds of the ‘80s are back in more ways than one. A number of veteran recording artists, like Jones, who climbed the charts a generation ago, are on tour. And then there are young acts, such as Bleachers, St. Lucia and Smallpools, who are crafting songs inspired by electronic acts from the Reagan era. Jones' poignant “No One is To Blame” peaked at number 4 on the Billboard pop charts. “Like To Get To Know You Well,” “Life In One Day” and “Things Can Only Get Better” hit the Top 40 in the US. "There was nothing like having success in America," Jones said. "The fans were so excited about what I was doing. They were so intense. Fans still love those songs and that allows me to continue to tour in the US today." Jones is headlining the "Retro Futura" tour, which stops Saturday at the Borgata. Such Reagan era sensations as The English Beat, Paul Young, Modern English and Katrina, are also on the bill. "I think you get a lot of bang for your buck with this tour," Jones said. "It's a lot of music and a lot of hits." What separated Jones from many of the trivial '80s acts, such as Sigue Sigue Sputnik, Kajagoogoo and Frankie Goes to Hollywood, is that the clever songsmith has always been very serious about his craft. "I didn't goof around," Jones said. "It wasn't about cultivating some image for me. It was about the music." Jones crafted deep songs during his heyday. Each tune was packed with a message. “I never sang, ‘I love you, baby,'” Jones said. “I never had the desire to write a mindless, predictable song. I always had that little philosophical element and there was always some hope in my songs. I think part of the reason the songs work today is because we can use some songs that have some philosophy and some hope as well." The Retro Futura Tour: Featuring Howard Jones, Paul Young, the English Beat, Men Without Hats, Katrina and Modern English, appears Saturday, Aug. 12 at the Borgata, 1 Borgata Way, Atlantic City. Tickets are $49, $59 and $79. Show time is 8 p.m. For more information, call 609-317-1000, or click here.